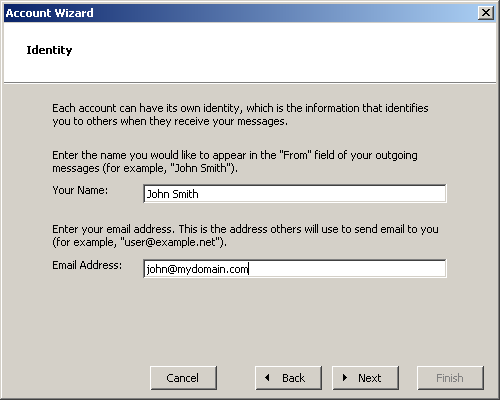 This is the second screen of the Netscape Account Wizard. Here you must enter a name and an email address. Note that whatever you type for the name will appear in the "From" line of every message sent out from this account. Type your email address in the second blank, then click "Next." To continue this tutorial, click "Next."